This is a very nice porcelain variety that originally came from a German Mennonite colony in Ontario. 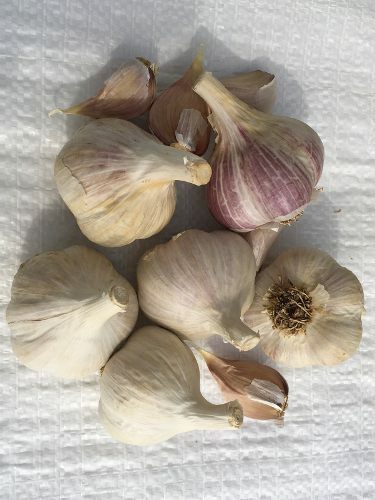 In recent years it has become the garlic of choice for several commercial growers near Toronto. Good size bulbs with 4-6 cloves per bulb.